Is Donald Tusk about to lose his parliamentary majority? With Poland’s first black MP John Godson quitting Civic Platform (PO) last week, the ruling PO-Polish People’s Party (PSL) coalition saw its parliamentary majority shrink to three votes. Then it was announced that Jacek Żalek, an MP, was being suspended from PO for three months for having repeatedly broken with party ranks during parliamentary voting. On the news, Jarosław Gowin, a former justice minister who just lost PO’s leadership election to Prime Minister Donald Tusk last month, announced he was voluntarily suspending his own membership of the party in solidarity with Mr Żalek, a political ally. All three politicians are staunch conservatives whose main beef with Prime Minister Tusk today is that he has taken the party too far to the left on social and economic issues. Along with Mr Żalek, Mr Gowin himself had been given a symbolic fine by PO’s disciplinary committee, also for breaking with party discipline during several parliamentary votes. But now his voluntary suspension means the PO-PSL coalition has the thinnest of possible majorities – one vote. But is PO really ready for that right now? Hardly. If elections were held today, PO’s main rival, Law and Justice, would very possibly win and Mr Tusk would lose power. 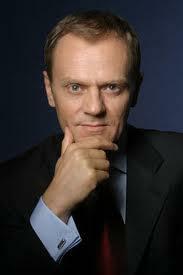 But Donald Tusk stands to lose more than power, he could very well lose his freedom. Jarosław Kaczyński, leader of PiS and twin brother of the late president Lech Kaczyński who perished along with 95 others in a plane crash in Smolensk, Russia in 2010, has stated publicly that he is convinced the PM was directly or indirectly responsible for his brother’s death. In the worst case, as Mr Kaczyński suggests, Mr Tusk was actively involved in a plot with Vladimir Putin to assasinate his brother. In the best case, the PM’s attempts to marginalize his brother led to the presidential plane traveling bereft of the proper security. Either way, if Mr Kaczyński ever becomes PM, Donald Tusk can look forward to spending a lot of time with Polish prosecutors. And so the last thing he can afford now is to lose power to Jarosław Kaczyński. So what are the PM’s options? He could reach for a third coalition partner in the shape of the Democratic Left Alliance, a post-communist formation with a wily and pragmatic leader, Leszek Miller (PM of Poland from 2001-2004). Mr Tusk and Mr Miller are said to get on well, two alpha-male types with a healthy respect for each other. Managing a coalition with Mr Miller would be hard and expensive for Mr Tusk, but feasible. The second option would be to add to the coalition Palikot’s Movement, led by the erratic and bellicose Janusz Palikot, a nihilistic megalomaniac. But Mr Palikot would be a potentially problematic coalition partner. He thrives on scandal and being the center of attention. This would unlikely change were he to be in a coalition government and he would doubtless cause Mr Tusk trouble sooner or later. Mr Tusk’s third option is to simply buy over a few disgruntled MPs from other parties. In fact, this process has been going on for a while now. In the last few months, four MPs have deserted Palikot’s Movement to form their own parliamentary mini-caucus. They generally vote with the government and could be co-opted fully into PO to boost its official ranks. But autumn will doubtless be a trying time for the ruling party. Labor unions are preparing for nationwide protests and PO will be holding various internal regional elections that are bound to increase the friction in the party and bring a few skeletons out the cupboard. The prime minister will likely not make any radical moves for now, at least as long as he still has a majority, albeit by only a single vote. But if another MP does quit PO, then Donald Tusk will have no choice but to search for a second coalition partner.